A dislocated shoulder occurs when the humerus (upper arm bone) separates from the shoulder blade at the main shoulder joint. 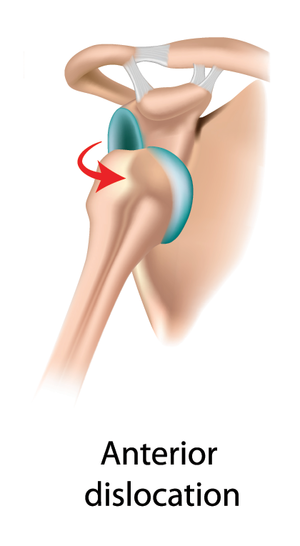 The shoulder is more susceptible to dislocation since it has the greatest range of motion of any joint in the body. Most shoulder dislocations are forward, or anterior, dislocations. A partial dislocation is known as a shoulder subluxation. The shoulder is most often dislocated by a strong force or extreme rotation of the shoulder such as a hard hit during contact sports, a motor vehicle accident, or a fall. You may feel an inability to move your shoulder, intense pain, arm numbness, weakness, a visibly out of place shoulder, and/or swelling. A dislocated shoulder should be relocated as soon as possible by a medical professional. 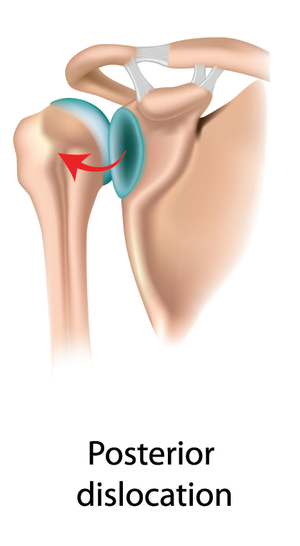 The shoulder cannot be dislocated without tearing the key architectural elements that stabilize the joint. Repairing these elements, including the labrum, the ligaments, and the capsule, usually solves the problem of resultant instability after a dislocation. "We can diagnose a dislocated shoulder through an exam and an X-ray, and can place the shoulder back into place in the exam room. We almost always repair the torn ligaments that result from a shoulder dislocation as an out-patient procedure under a regional block. The re-dislocation rate of a repaired ligament is very low in our hands." 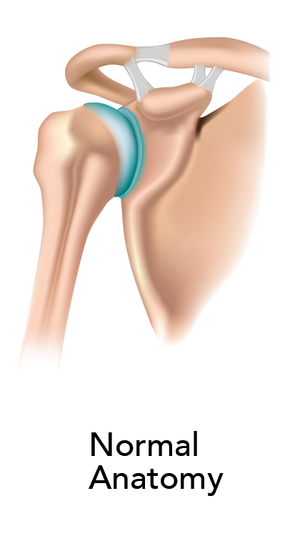 The tear of the labrum ligament in the shoulder is called a Bankart tear. Often, in order to regain shoulder stability after a labrum tear, we recommend outpatient surgery to repair the shoulder joint. The surgical repair is optimized by accurate placement of the sutures and a customized rehabilitation program that begins immediately after surgery. Direct skilled physical therapy by a licensed therapist begins immediately after surgery with limited range of motion (as delineated by Dr. Stone, specific to each case) and neuromuscular re-education exercises. 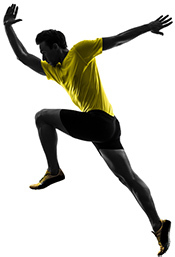 Stabilization muscles and strength muscles are separately re-trained initially, but then integrated progressively to achieve overall functional control of the dynamic shoulder joint. Most people are able to return to full sports by three months after a repair of the torn labrum.